Want to dominate your world in one easy step? Our One-Piece Dominator D3 Wheel-to-Wheel SideSteps let you do just that. Built for the person who wants a tough side step and doesn't want to put it together, these side steps can really take a beating. 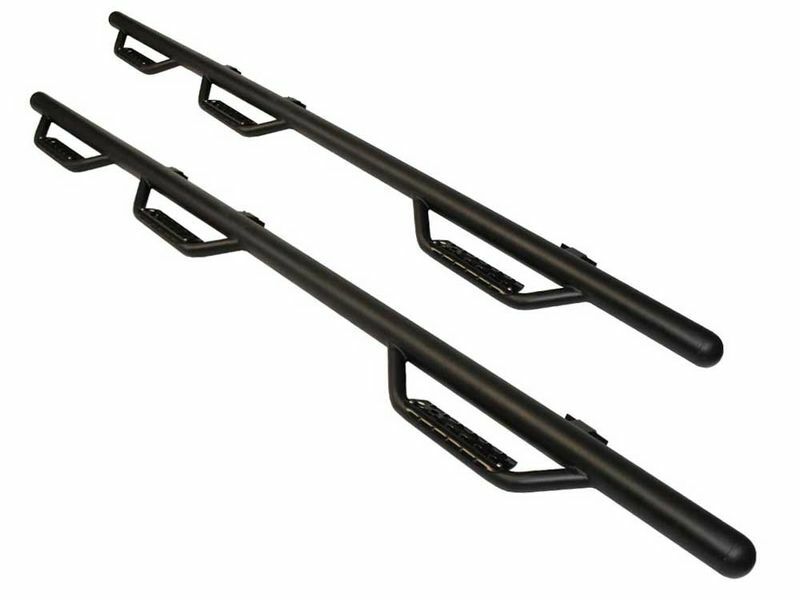 Go Rhino Dominator D3 Wheel-to-Wheel SideSteps are expertly engineered and constructed from 3 inch round steel tubing. Our heavy-duty sidesteps hold up to years of abuse from climbing in and out of your cab. The resilient step pads support each seating row, and also give you safe and easy access to your bed.